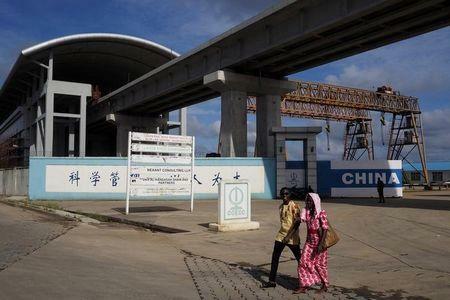 Is 2015 the beginning of the end for Africa's China-led boom? JOHANNESBURG (Reuters) - Disappointing growth in Africa's two biggest economies has highlighted the role of China in the expansion of recent years, now that China's own economy is slowing. Expectations of more than 4 percent growth in Nigeria, Africa's largest economy, are probably now too high, and South Africa's prospects also look in need of revising. Second-quarter growth for both countries was worse than the most pessimistic forecasts - in South Africa's case, by the biggest margin in at least half a decade of Reuters polls. Their slowdown is similar to other emerging market economies in Latin America and Asia, and a sign that China's appetite for raw materials is now waning. On Tuesday, the latest purchasing managers' data showed the weakest growth in 6 1/2 years for small- to mid-sized China manufacturers and the weakest in three years for larger enterprises. Economists have long been aware that commodity-exporting countries would be troubled by China's rebalancing to a more consumer-driven economy. They have been warning since the shift began that investors would have to make do with slower growth. "With growth slowing in Nigeria and collapsing in South Africa, our prediction that 2015 would be Africa's most difficult year so far this century seems, unfortunately, to be playing out," said John Ashbourne at Capital Economics. "The key point is that high oil prices over the past decade may have led both investors and policymakers to ignore the deep structural problems within Nigeria's economy. Now that prices have fallen, those flaws have been exposed." In addition, the Federal Reserve expects inflation to accelerate, making an increase in U.S. interest rates more likely. But many emerging market policymakers say they are ready for a U.S. rate rise, and they are now focused on dealing with a slowing Chinese economy. Two months ago, the Reuters long-term consensus on Nigeria was for 4.4 percent growth this year. But a drop to 2.35 percent in the second quarter - from a record high of 8.6 percent in the fourth quarter of 2010 - puts that at risk. South Africa, the continent's second-biggest economy, shrank 1.3 percent in the second quarter – worse than any of the 21 economists polled by Reuters had predicted. That makes the consensus for 1.9 percent growth this year, already weak by emerging market standards, look too optimistic. Razia Khan, Africa research head at Standard Chartered, says in the next decade, the structural drivers of Africa's growth – rising demographics, greater rates of urbanisation, productivity gains, growth of financial markets, will remain in place. "However, in the very near future, external headwinds –deteriorating risk appetite and weaker commodity prices - may well take the shine off growth trends," she said. The World Bank forecasts GDP growth in sub-Saharan Africa will slow this year to 4.2 percent, down from an average of 6.4 percent during 2002 to 2008. Even after a decade of growth, sub-Saharan Africa's manufacturing remains weak. Exports from the region more than quadrupled to $457 billion in the decade to 2011, but manufactured goods made up just $58 billion of that. Africa could have rebalanced its own economies, by shifting from commodity-led growth to inter-regional trade. But neglected infrastructure looks set to keep the continent reliant on commodities. "Africa remains largely a primary goods exporter. There are growth opportunities to be found in forward-integrating its largely primary industries," said Rafiq Raji, an economist at macroafricaintelligence.com, a research service based in Lagos.